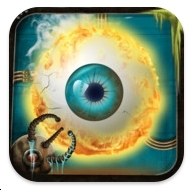 Check out this eyeball. Great artwork. 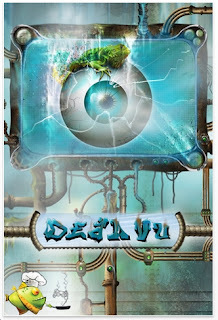 Deja Vu HD is a super fast version of that old card game I played when I was 5: Concentration. I didn't think I'd like this version. But I do. Here's why: the tiles turn over very briefly. Maybe .3 seconds. The object is to find all the matches within the given time. 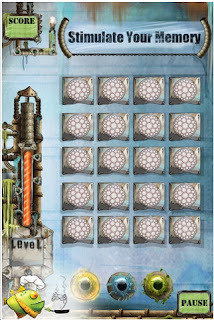 I've solved all the free levels - 16 of them. After that you can pay for the next 64 levels. Deja Vu HD is surprisingly fun. How dedicated a puzzler are you?